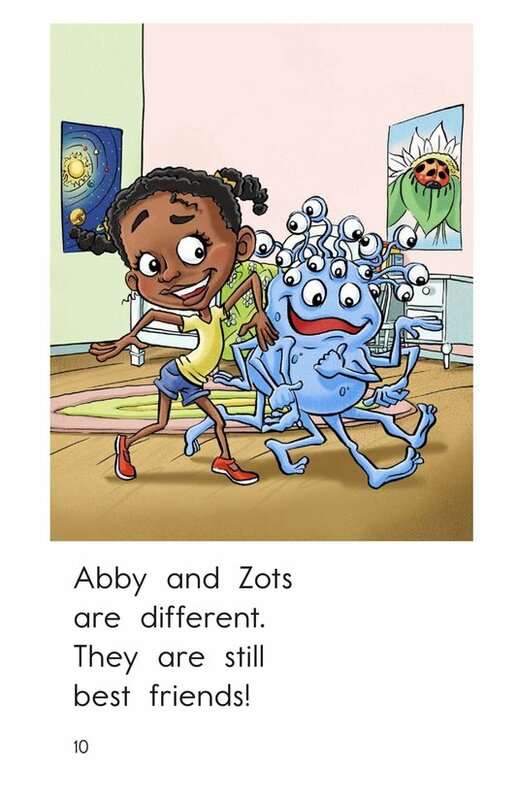 All best friends have similarities and differences, but none are quite like Abby and Zots! 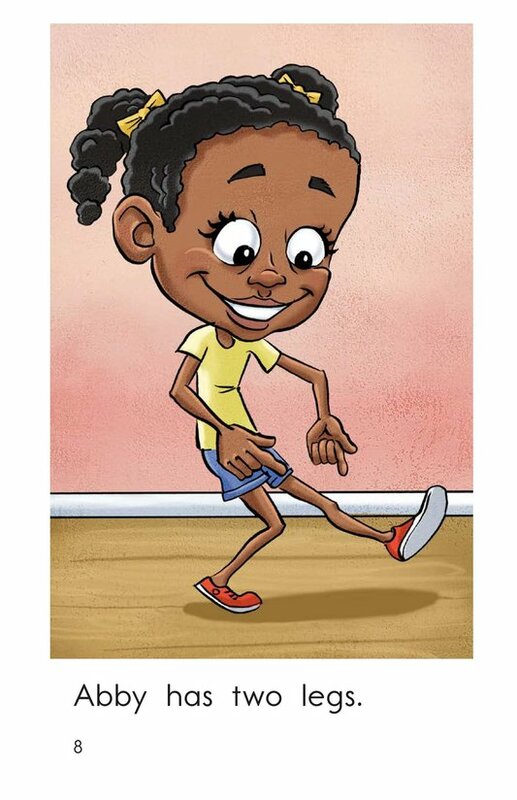 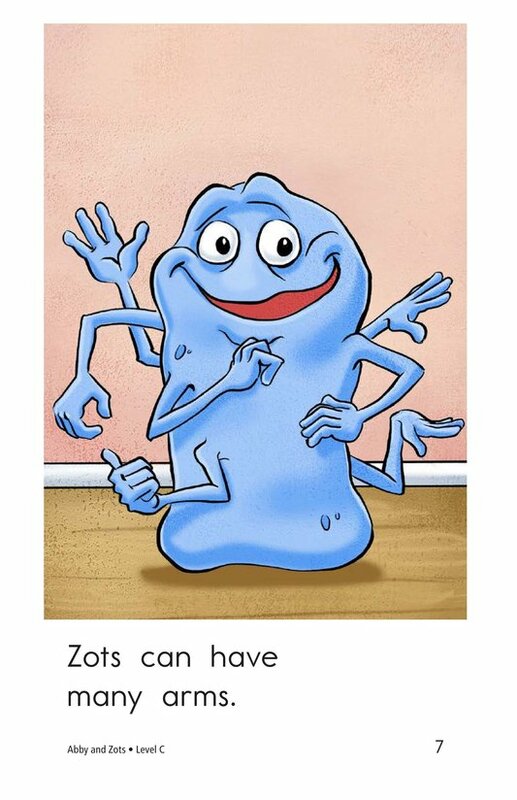 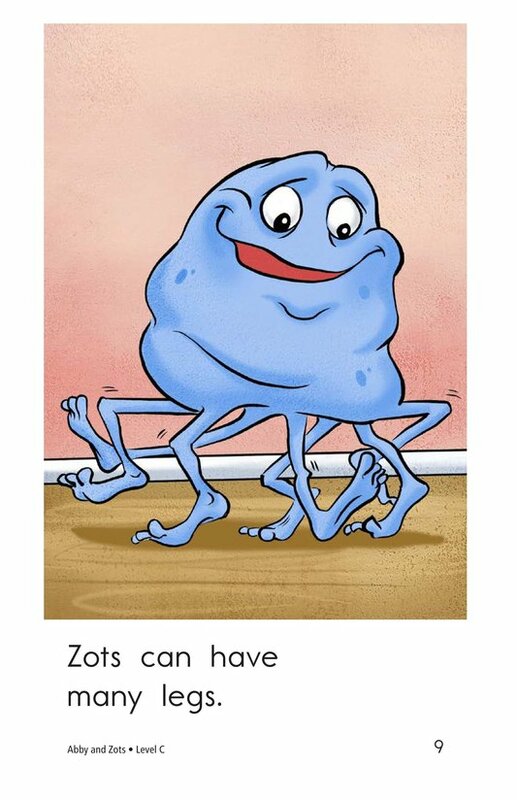 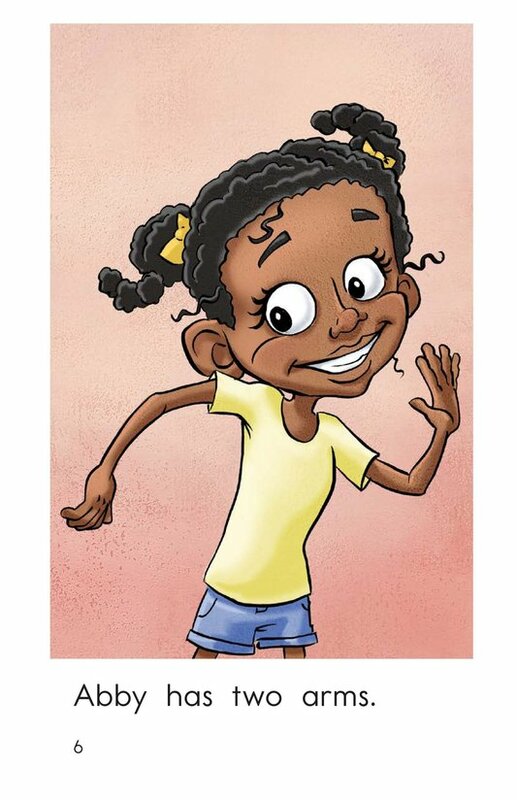 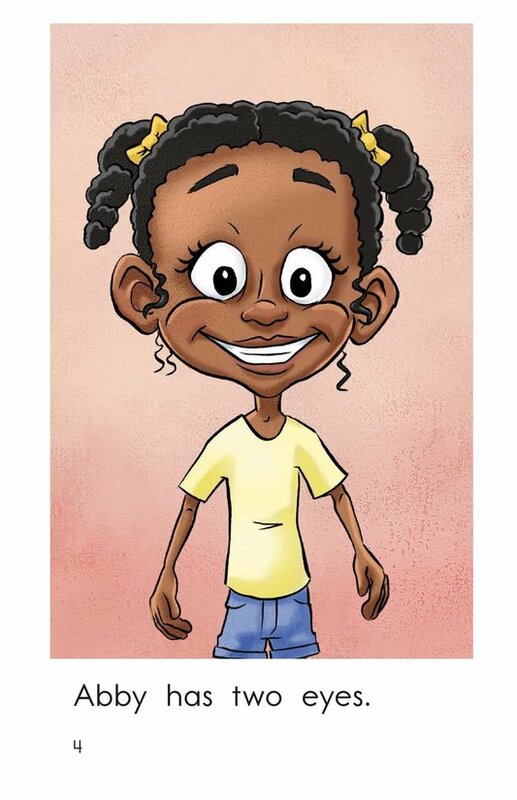 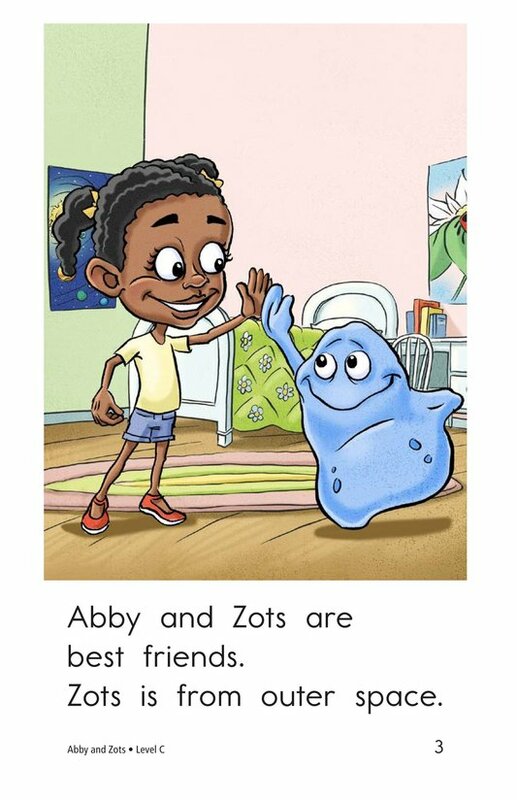 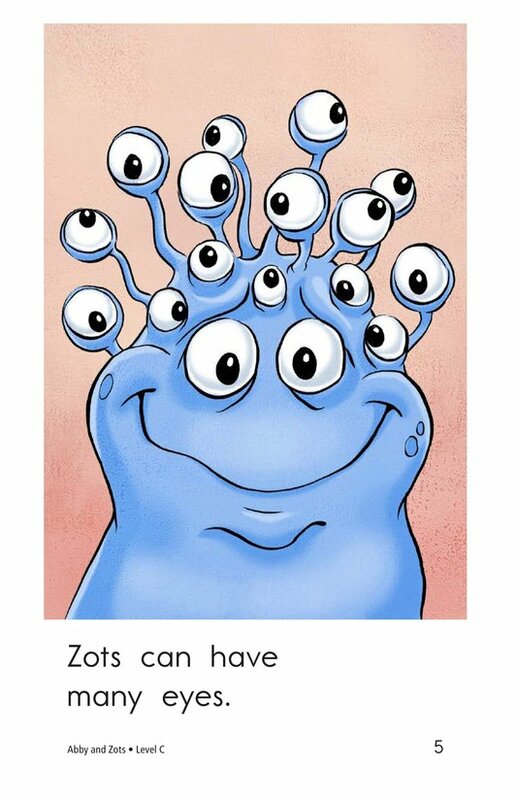 Abby and Zots is a story about a girl and her best friend from outer space. 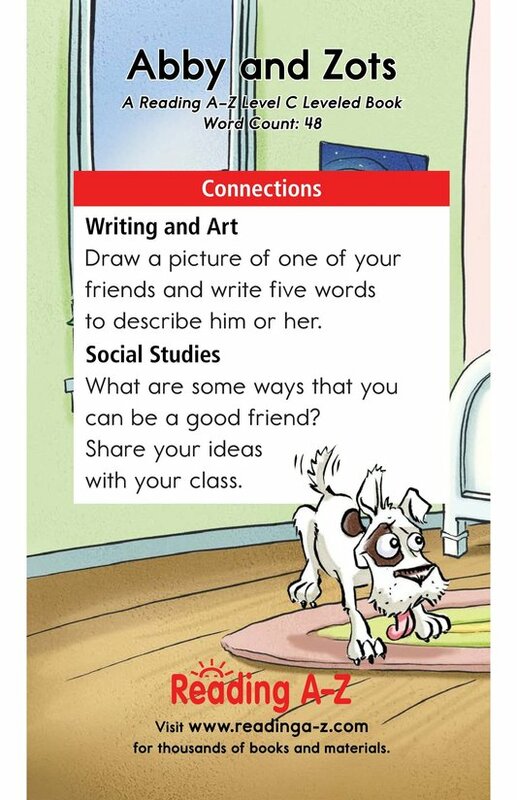 This simple and delightful story offers students the opportunity to practice the skill of comparing and contrasting. 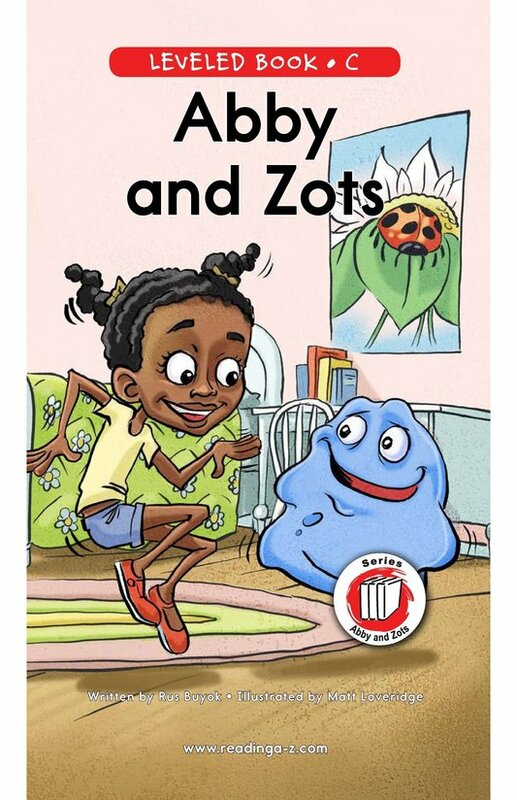 The colorful illustrations, high-frequency words, and repetitive sentence structure support early emergent readers. 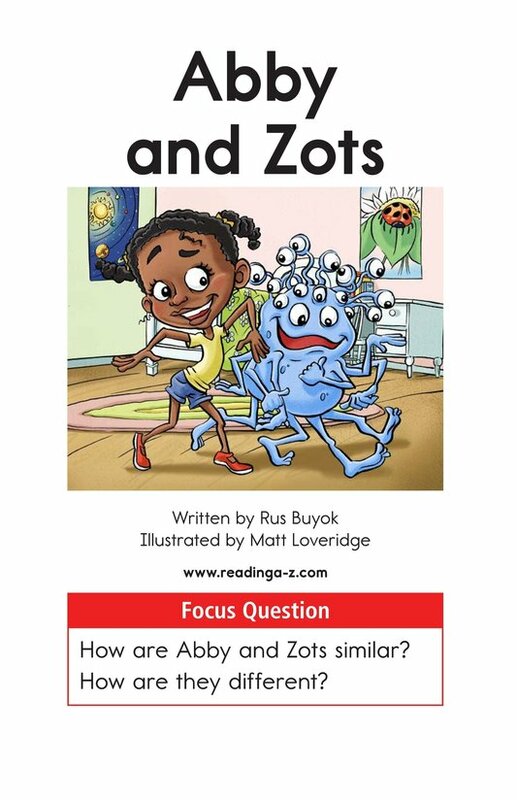 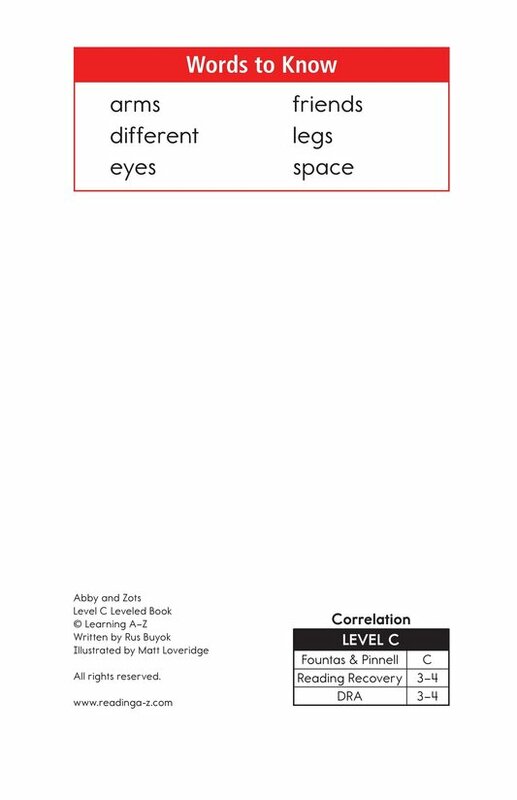 The book can also be used to teach students how to visualize to understand text as well as identify and use periods.